When you roll out of the driveway and hit the open road, you want your ride to look good and be as safe as possible. With Harley-Davidson Deuce LED taillight options, there is no doubt. Radiantz has manufactured and sold a wide selection of Harley Deuce taillight products since 1999. 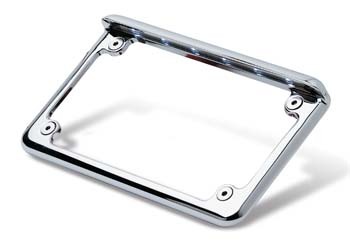 You can find the best Harley Deuce brake light and Harley Deuce LED taillight options, ranging from small rectangular accents to motorcycle license plate frame lights to flexible, multi-color LED strips to stick anywhere you want a splash of style. We also carry remote control systems, running lights and turn signals, and windshield lights. Shop Radiantz not only for the huge selection of HD Deuce LED lights but also for our track record of excellence. We have been in business since 1999, are a direct manufacturer of the brightest lights on the market and offer free shipping on all orders over $150.